In the Australian Financial Review 24 -27 April,page 9, there was an article sub-headed “Those who bought in yesterday’s down-at-heel suburbs are happy”. Amid other text, it says apartment baron Harry Triguboff built his early projects on sites that sparked some scepticism at the time. Now, looking at the price growth and gentrification in areas such as Ultimo, Pyrmont, and Chatswood, he said he was right to get in while land was cheap. 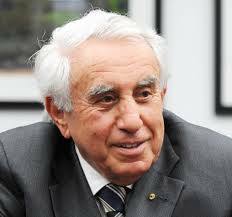 Unit developers often follow hospitals and shopping centres, but Mr. Triguboff boasts that everyone followed him. “Don’t worry about the future, just follow me, that’s where the price growth will be,” he said. Commentary: I thought the purpose of planning was to have the hospitals and schools in place before the high density repopulation occurred. Now the Planning Department is reforming, it would be interesting for them to check the percentage of Triguboff projects that violated LEP but were approved through other means:- Section 3A, departmental,PAC, or Land & Environmental Court. Where are the records that show that any of these loophole operators have worked through the planning calculations to see that adequate on-site parking, sewers, storm drains, child care and schools, hospital services etc. are available when Triguboff sells his high density units? Do they bóther to read Council Officers’ Reports recommending refusal?